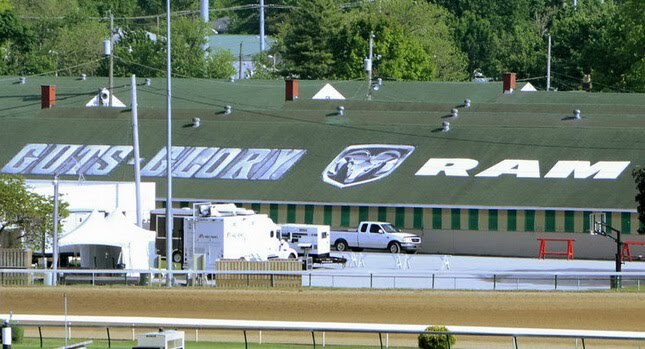 Following in the footsteps of its sister brands Dodge, Chrysler and Jeep, the Chrysler LLC Group’s Ram Truck division is relaunching its marketing strategy with a new tag line that will make its official debut during this weekend’s TV broadcast of the Kentucky Derby racing event, which the company is an official sponsor. The firm’s new motto is ‘Guts. Glory. Ram’ and according to the Auburn Hills-based group, it pays homage to the history of Ram Truck Brand and “represents the hard work and dedication placed in the design, engineering and production of each and every Ram truck”.